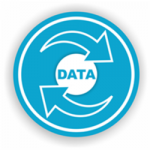 The four links below direct to four different data visualizations, all of which present data from our State Indicators Database. We will be adding new visualizations and tools in the future. 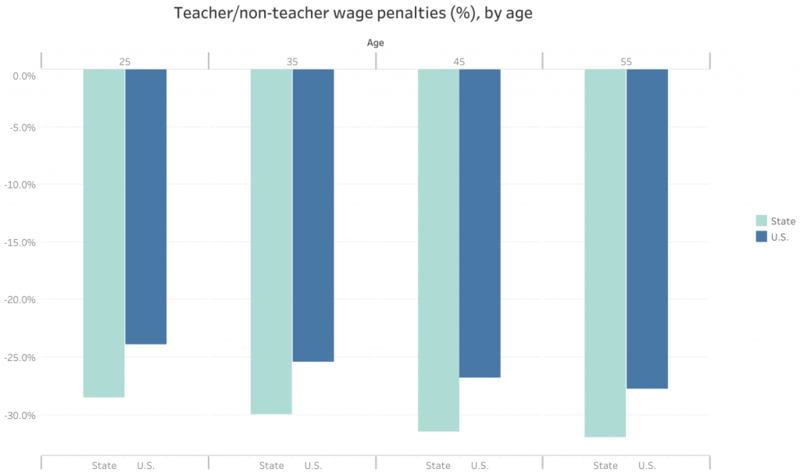 Select a state and year to view teacher/non-teacher wage gaps at different ages. 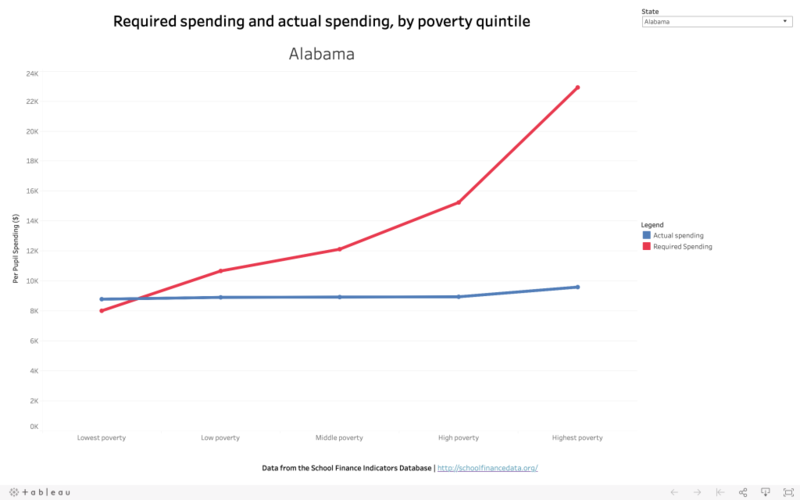 Select a state to compare adequate spending and actual spending, by poverty quintile. 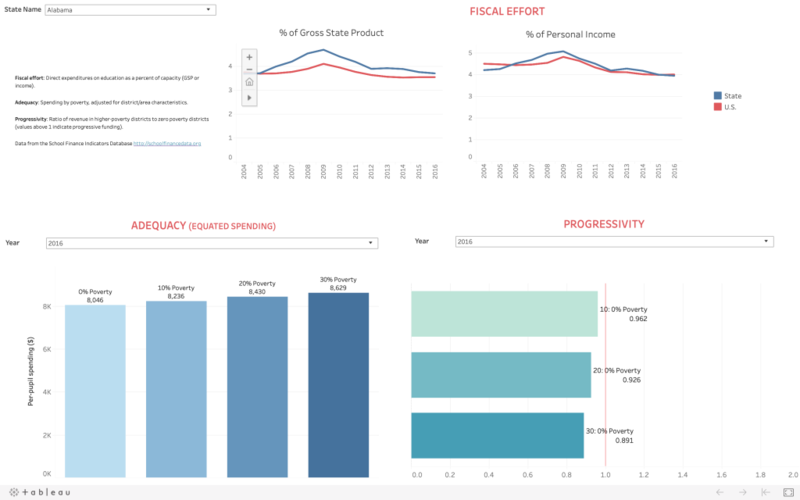 View each state’s results on our “core indicators” – fiscal effort, adequacy (versus other states), and progressivity. 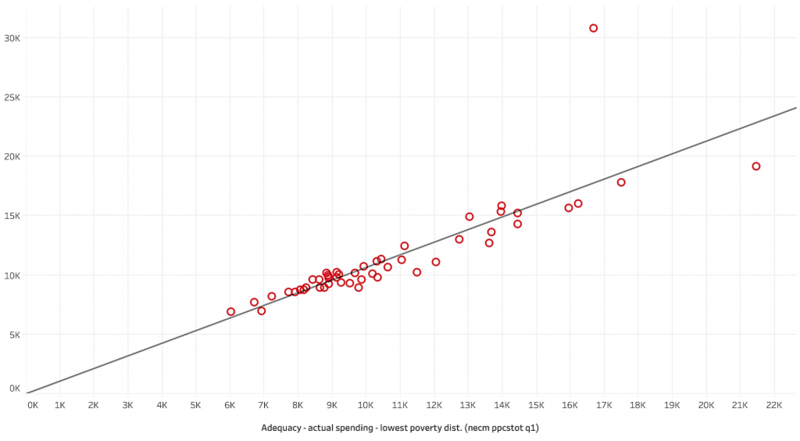 Create scatterplots comparing the relationships between your choice of two state indicators.